Many view Chief Daniel Carbon of the Commonwealth of Dominica Police Force as the unelected MP of Dominica's shadow 22nd Political constituency- Police Headquarters in Roseau. It is also alleged that Mr. Carbon leaped frog over other more qualified officers to the position. As a result, he may be handcuffed and handicapped by the political directorate meddling in the force's day to day operations. It is widely accepted that a privileged group of the force is overly partisan. Others believe that is has become the military wing of the ruling Dominica Labour Party similar to the disbanded Dominica Defense Force was a few decades ago. Today when the force needs a decisive and independent commander, Carbon is best regarded as a titular head- who does not have real power and who has lost the respect and support of his force and country. Interestingly and sadly, it appears that he has lost the support of his boss the Justice Minister, but (for now) has the seeming unequivocal support of PM Skerrit. Some say that Carbon has himself to blame for his predicament while others contend that it was impossible for the chief to be his own man once he was hand-picked by Skerrit. Mr. Carbon may have come to the job with good intentions. In July 2012 he said there is a need for proper vetting of police recruits and existing police officers and supported the introduction of lie detector tests for the police. Whether these were implemented is anyone's guess. He also said that officers should try to live within their financial means and he would be harsh on officers who engage and tolerate in illegal activities. Mr. Carbon, who is from the same village as Skerrit was appointed chief in 2012 after Acting for a short time. According to the UWP Opposition, that appointment of Chief was made with disregard for the Constitution. Just hours before Skerrit officially announced Carbon as Chief, he sent a letter to the Leader of the Opposition announcing the appointment. Article 92 of the Constitution of Dominica clearly states: The power to appoint a person to hold or act in the office of Chief of Police or Deputy Chief of Police and, subject to the provisions of section 93 of this Constitution, the power to remove the Chief of Police or Deputy Chief of Police from office shall vest in the President, acting in accordance with the advice of the Prime Minister, given after consultation with the Leader of the Opposition and the Police Service Commission. There are few examples to illustrate the manner and degree to which Carbon may be compromised. During the Salisbury (a UWP stronghold) farmers upraising in May 2015, critical command and control were lacking. Carbon deployed a contingent of heavily armed officers in riot gear carrying loaded M-16 rifles and other military assets. It was widely reported that the police used expired tear gas on the unarmed protestors and fired live rounds into some homes. Earlier this year Skerrit instructed a huge crowd at a Labour party meeting in St. Joseph which was broadcast live on radio, to call the United Workers Party (UWP) leadership traitors. There was no word from the chief regarding this act of provocation by the PM. Does the Chief know that according to international law, an act of provocation is treated as the act itself? Is he aware that the Rwandan genocide was fueled by inflammatory radio language by unscrupulous politicians in a depressed economy and charged political atmosphere like Dominica? Also when Carbon became chief he said that he would find the perpetrators who fired bombed Mr. G.O.N Emanuel's house which almost killed the elderly former magistrate and lawyer and his wife. Despite a mountain of evidence, the case is still unresolved and no one has been held responsible or convicted. Interestingly, when contacted about his law firm's name being listed on the Panama Papers, Mr. Emanuel said that he has never done business in Panama and it could be linked to a former associate. In June Mr. Carbon hastily arranged a news conference where he raised concerns over statements that were made by callers of radio talk shows. He said, "Police have a mandate to uphold law and order and Dominica will not experience the errors of 1979 and the early 1980's." That tumultuous period lead to the removal of PM Patrick John from office. The Chief did not name the specific threat if any threats were made and the number of callers who made them. In March of 2015, five officers were charged with murder eight months after the body of a prisoner was found in a cell at the police station in the northern town of Portsmouth. In July, Mr. Wayne James, a business man and a former police officer had his gun taken away by Chief Carbon. James is the brother of former Prime Minister Edison James of the UWP and a current member of the Electoral Commission who was nominated by the UWP Opposition. Two days after the police took the man's gun, his home was burglarized. James said he believes the Chief acted with malice and exceeded his jurisdiction under section 13 of the Firearms Act No. 3 of 2011 and now he cannot protect his business and family. He has since filed a suit against the chief. The UWP called planned and at the last minute called off a peaceful demonstration at the Douglas-Charles Airport a week before the December 8, 2014 general election because a number of overseas voters would be travelling to Dominica on chartered aircrafts to cast their ballots. The reasons were that an audio recording obtained by local media surfaced where chief Carbon was heard telling police officers, "The police force is the only institution of the state that is entitled to use deadly force justifiably." UWP leader Lennox Linton was concerned that there would be loss of life. There had been rumors that diesel will be placed on the airport runway to prevent aircraft with overseas voters from landing safely at the airport. The police did not publicly say whether these rumors were true. The UWP has always contended that the Dominica Labour Party is involved in bribing Dominicans overseas by bringing them into the island to vote. Linton filed a report with chief Carbon asking for an investigation into allegations that Dominica's Election Act, Sections 55, Section 56, 57 were being violated. No investigations were conducted, the planes landed, diaspora Dominicans voted and left the next day and Skerrit's party won comfortably. The OAS and other organizations have raised concerns about electoral reform and past election irregularities in voting. Was Carbon just doing his job for allowing the Diaspora charter flights to land or allegedly was he doing Skerrit's bidding? The opinion of some is either he does not understand nor has an appreciation the intersection of public policy, the law and police protocol. 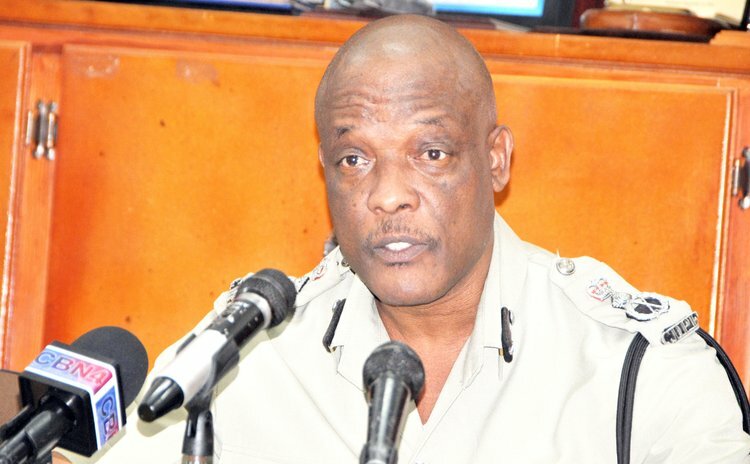 This came to a head last week when the Justice Minister, a former policeman, said on talk radio that the government of Dominica is not ruling out bringing in a foreign national to head the Police Force as it is not satisfied with operations in that department. A few days later, Skerrit went on radio and expressed absolute support for Mr. Carbon, He said, 'The public can rest assured that as the Prime Minister who appoints and who disappoints the Chief, he has great confidence in the Chief of Police, and we will continue to provide him with the resources which he requests." Please Mr. PM read Article 92 of the Constitution. Did the PM throw the Minister under the bus? Maybe the Justice Minister implicitly made the point that Carbon is maybe over his head and he needs to go. Many believe that Carbon's departure would lead to a more professional force and make Dominicans feel more secure. It will also save Daniel Carbon from himself.